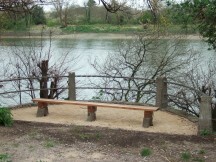 Can you help us find out what happened to the bench that was in the viewing bay nearest Barnes Bridge? 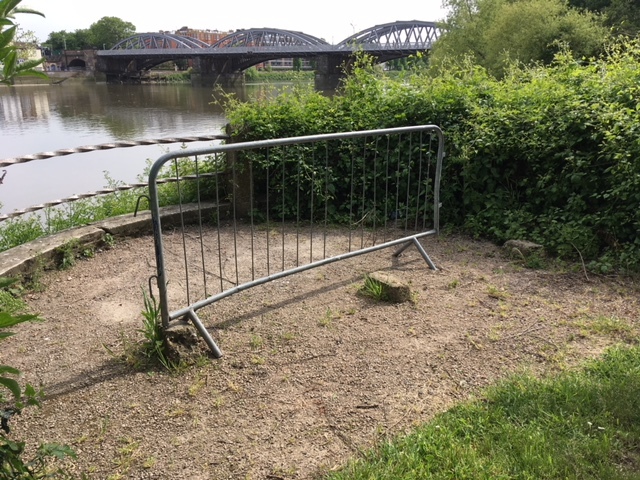 The 1920s benches had all rotted way and the viewing bays were overgrown, before Dukes Meadows Trust raised the money to replace them, cleared the bays and had the compacted gravel laid. We had the long bolts that had been used in the 1920s replicated, using a rusty one that was still in situ as a model. We had iroko planks cut to size and our volunteers assembled them. We estimate each bench cost around £500. 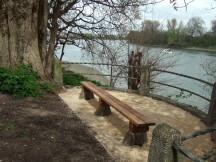 It has been lovely to see people sitting on the benches and enjoying the views. We were very upset to see today that the whole of one bench plus fittings had been removed and a section of barrier placed in the bay. It would not have been easy to remove the bench, so whoever removed it must have come equipped with spanners or bolt cutters. So sad and we are worried about the other benches now. We will report the theft to the police and would be grateful for any information anyone can provide to identify who stole the bench, so they can be held to account. The trust has worked hard to transform the park from the derelict no go area it once was to the lovely park people now enjoy. We hate to see the hard work of our volunteers being undone and don't want casual theft and vandalism to set the park back.